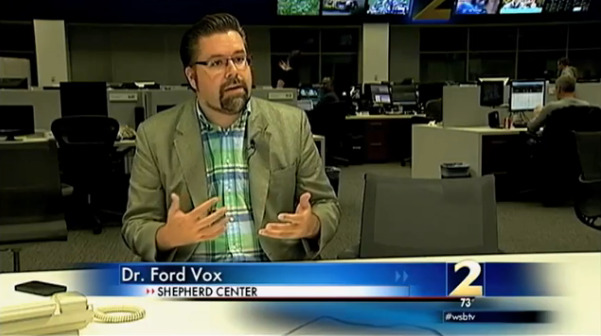 Selected clips of television interviews & commentary by Ford Vox. Discussing Amazon's Illegal Drug Dealing (Slate) with Sanjay Gupta for CNN. In an investigative report, CBS Atlanta and Dr. Vox bought deadly pure synthetic caffeine powder off Amazon.com. Discussing the UCLA CRE superbug outbreak for CCTV America. 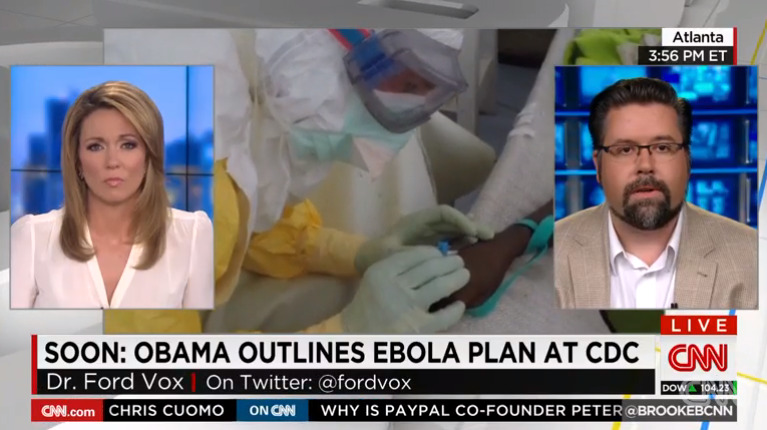 Analyzing President Obama's stepped-up Ebola response for CNN. Commentary on the rising problem of antibiotic resistance for CCTV America. Clip of Dr. Vox on Deadly Fix, a CNN special on the prescription drug abuse epidemic. 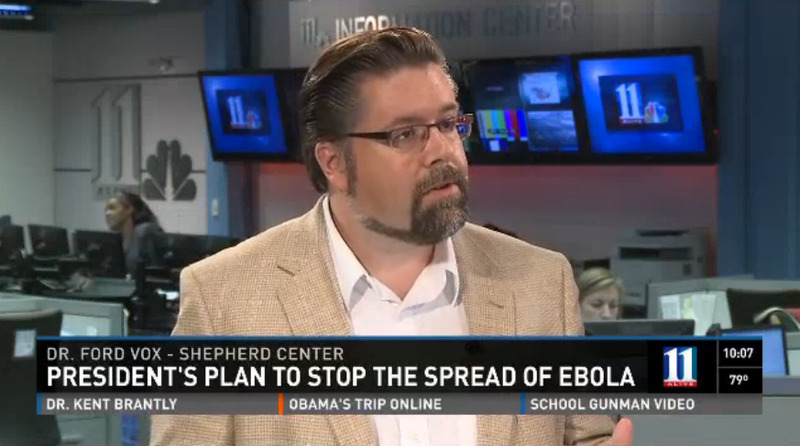 10/15/14 Ebola Update for CCTV America. Discussing experimental Ebola drugs for CCTV America. Discussing emergence of an unregulated benzodiazepine as a drug of abuse with WSB-TV.